Preface: My article below originally appeared on Tony Ortega’s Underground Bunker. It is reprinted here with additional material added. I republish the article here because the Church of Scientology has used tens of millions of tax exempt dollars, or more, to pay Monique Yingling (and the law firm for which she works) for her four decades of legal services to Scientology. And yet Yingling had the shamelessness on her recent interview with ABC 20/20’s Dan Harris to criticize Leah Remini for making money to produce and appear in the A&E show Leah Remini: Scientology and the Aftermath. Monique Yingling’s hypocrisy is staggering: She is a financial beneficiary of the human suffering that occurs in Scientology, and, Yingling helps to enable that suffering by defending it as an attorney for Scientology. Yingling also made a point to ABC’s Dan Harris that she raised her children in the Catholic faith; it is unfortunate that none of the love, compassion, or mercy of the Catholic faith seems to have affected Monique Yingling in her professional work. Following the sudden departure of Tommy Davis as the Church of Scientology’s spokesman in 2011, the organization no longer has an actual Scientologist to represent it on television or in documentaries. Seemingly by default, Scientology leader David Miscavige’s attorney Monique Yingling — a non-Scientologist – has found herself cast in the unlikely role as the international spokeswoman for the church. Harris: Scientology has described psychiatry as an “industry of death.” Why is that? Yingling: Well, I think that’s a catchphrase. But what Scientology has worked hard against are abusive practices of psychiatry. Not psychiatry in general. Harris: You say, “not psychiatry in general,” but an “industry of death” sounds pretty general. Yingling: Well because unfortunately there have been a lot of abuses, and psychiatry has caused a lot of deaths. Right there on national television, this was a pretty spectacular lie. If you know much about Scientology at all, you know that founder L. Ron Hubbard considered all of psychiatry an abomination that has plagued mankind for trillions — yes trillions of years. Hubbard even claimed that the “evil psychs” were a special race, traceable to the planet “Farsec.” The goal of the psychs, according to Hubbard, is to implant, enslave, and kill humans. From 1950 until his death in 1986, Hubbard created, expanded, and sustained Scientology’s attack upon psychiatry that continues to this day. 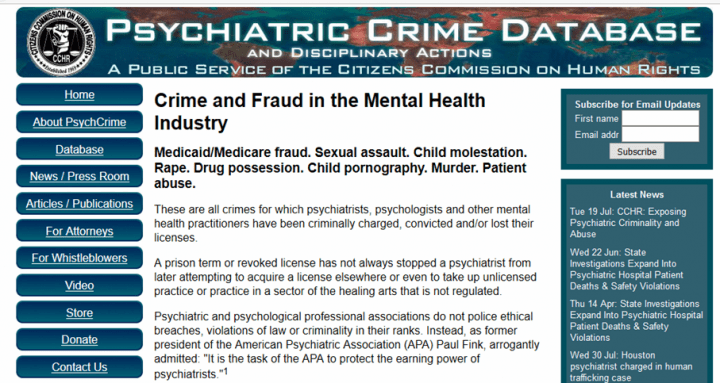 As part of Hubbard’s efforts to expose psychiatry, Scientology created the Citizens Commission on Human Rights in 1969 as a “mental health industry watchdog whose mission is to eradicate abuses committed under the guise of mental health.” But what does CCHR actually do? One thing CCHR does is work to get psychiatrists arrested, tried, and imprisoned for abuses. Finally, and here we arrive at the crux of the matter, L. Ron Hubbard was infuriated that psychiatry had obtained what he thought was a fraudulent monopoly on mental health treatment. To Hubbard’s way of thinking, psychiatry was rigged because it required an eight-year medical degree plus a four-year psychiatric residency to become a psychiatrist. This conspiracy to require medical degrees and residencies effectively locked Hubbard and his e-meter out of the tens of billions dollars per year in government funding spent on mental health treatment. Our war has been forced to become to take over absolutely the field of mental healing on this planet in all forms… Our total victory will come when we run his (the enemy’s) organization, perform his functions and obtain his financing and appropriations. Monique Yingling was prevaricating when she told Dan Harris that “Psychiatry: An Industry of Death” was a catchphrase. Yingling knows that, per its own policies, Scientology will not accept anyone as a member who has been suicidal or has been treated with psychiatric drugs. In a paradoxical coda to this article, we note that these two prohibitions disqualify L. Ron Hubbard from Scientology. 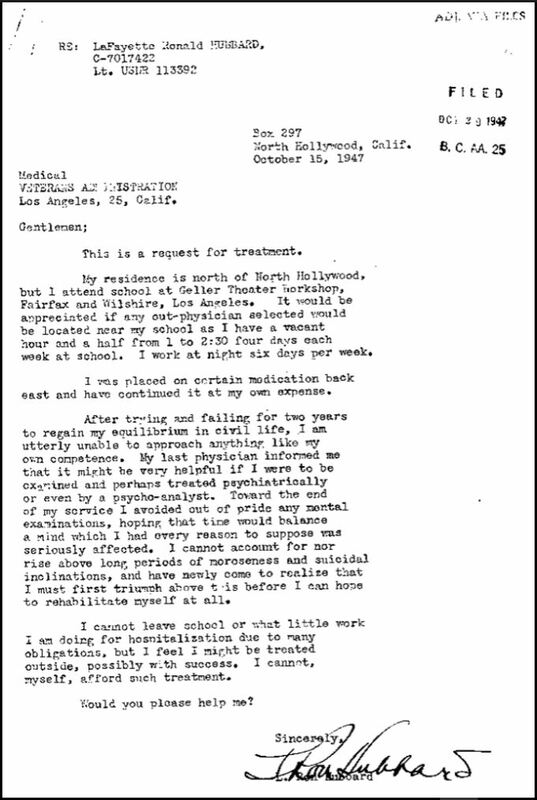 In 1947, L. Ron Hubbard wrote to the US Veterans Administration complaining of suicidal ideations and moroseness, or what we would today call depression. Hubbard asked the Veterans Administration to provide him with psychiatric treatment. And at the end of his life, in January 1986, L. Ron Hubbard suffered a stroke and was treated with the psychiatric tranquilizer Vistaril. Hubbard’s intense hatred of psychiatry was most curiously book-ended between his request for psychiatric help in 1947 and his use of a doctor-prescribed psychiatric tranquilizer at the end of his life. I wonder how Monique Yingling would spin that? When I was doing research for this article I thoroughly examined many CCHR websites. While it feels like internet dumpster diving, the fact is that one has to study Scientology websites in detail in order to be a good researcher. Scientology websites are a gold mine of the Cult’s paranoid mindset and CCHR has the most gruesome and weird of all Scientology websites. As to “Industry of Death” being a catchphrase, one CCHR website has a CGI reproduction of the actual Industry of Death museum in Hollywood. I toured the museum after it opened many years ago. The decor reminded me of a Marie Calender’s restaurant, sort of a French farmhouse motif, festooned with photos of Nazis and ghastly photos of lobotomies and ECT. There are also psychiatric appliances. The net effect led me to conclude that CCHR itself is in dire need of psychiatric treatment. There is also a Eugenics display. Curiously, it has never occured to Scientology that its goal to create a master race of Homo Novis and to “dispose of quietly and without sorrow” all those 2.0 or below on the Tone Scale is a form of both Scientology eugenics and genocide. On a final note, one CCHR website has a Mr. Lage Vitus correctly condemning the South African philosopher, psychologist, and Prime Minister Dr. Hendrik Verwoerd (1901-1966) as the architect of apartheid. However, Scientology then engages in a leap of logic to blame Dr. Verwoerd’s work in psychology — and by extension psychiatry — for apartheid. Scientology is incorrect for apartheid was rooted in racism, segregation, and the goal to keep Black South Africans in a perpetual state of poverty and illiteracy. Apartheid was a function of racism and not psychiatry. That Scientology also blames the Holocaust on psychiatry shows its deeply flawed Cultic ideology in which psychiatry must be to blame for all the evils of the world. Moreover, as the Daily Mail noted, L. Ron Hubbard wrote to Prime Minister Verwoerd to praise Verwoerd’s slum clearance projects. In doing so, Hubbard effectively praised and condoned apartheid. In a letter written in November 1960 to Hendrik Verwoerd, a former president considered the architect of apartheid, Hubbard praises the devastating practice of forced resettlement of non-white South Africans. Verwoerd rigidly enforced Apartheid policies through further introducing oppressive laws, which diminished the rights of ordinary individuals… Verwoerd empowered the police, Secret Police and Army to extraordinary levels. 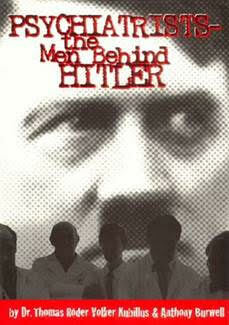 During his time in office he ordered a secret all-out offensive against those opposed to apartheid policies…. …any person from 2.0 down on the Tone Scale should not have, in any thinking society, any civil rights of any kind, because by abusing those rights he brings into being arduous and strenuous laws which are oppressive to those who need no such restraints. Mind bending sort of speaking! I have not yet read your article but while searching online on another tangent I came across the following affidavit by Scott Mayer which contains a number of points regarding scientology documents, records and behaviors regarding monies. company) and the Panamanian consulate. Her name was Pat Hunter. processed through the consulate as described above. movement towards Hubbard’s goals for a clear planet. places in the world including accounts in St. Hill, England. of paper if customs wanted to see them. base at Clearwater in Florida. Africa into the United States. Office, took quite a deal of pride in showing me the project. I am trying to dig deeper for documents to add support to Scott’s affidavit as, at least to me , certain parts of it point to how Monique and the ” compartmentalizing ” of the unreviewed invoices omission on the part of the approval team were very carefully choreographed to obtain the exemption. I welcome further response from you on this matter.